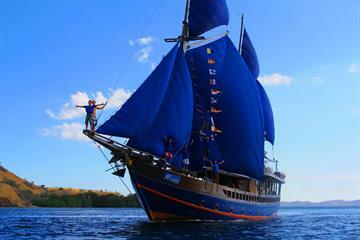 Flores is located east of Komodo and west of the Alor Archipelago in Indonesia. 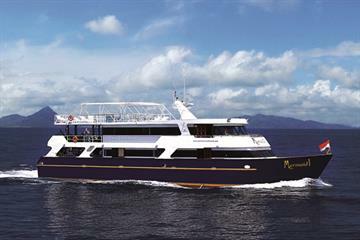 The dive sites of Flores offer excellent visibility, steep walls, beautiful corals, huge gorgonian fans and extraordinarily diverse marine life. 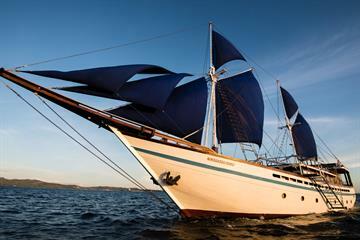 A Flores liveaboard diving cruise is the best way to enjoy this Indonesian dive destination. 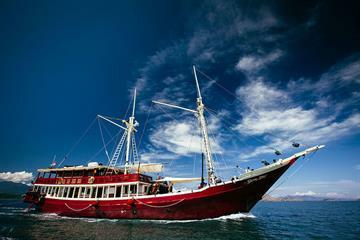 A sea safari to the islands in the Flores Sea take scuba divers to the best dive sites. Babi Island features a healthy reef wall plunging to a depth of 50 meters. Snappers, parrotfish, angelfish, damselfish, several species of moray eel and ribbon eels inhabit the wall. Scuba divers exploring the waters surrounding Lambata Island will discover coral encrusted boulders and reefs harboring schools of fusiliers, angelfish, parrotfish , and pygmy seahorses. South Pangah Balang is known for its impressive soft corals and large leather corals along a sloping wall. Wai Terang is a Japanese World War II freighter lying on its side. Hard and soft corals have attracted numerous small reef fish. 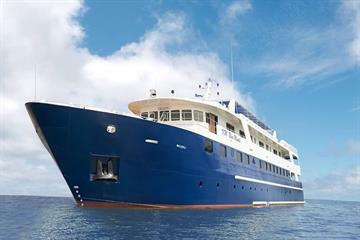 Diving Flores is possible year round, however many liveaboard trips are limited to between April - June or August - November each year. 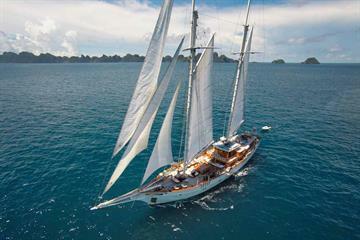 Liveaboard.com offers great itineraries on the best Indonesia liveaboards, choose from Waow, Seven Seas, Arenui, Pindito, Damai I and many more. Current is moderate to strong at some dive sites, I would compare it to diving in Maldives. There are also dive sites with little current. I understand that the current conditions vary significantly by time of month and day. Overall, I think Komodo's reputation for strong current is unwarranted. Observe the normal safety procedures and you will be fine.